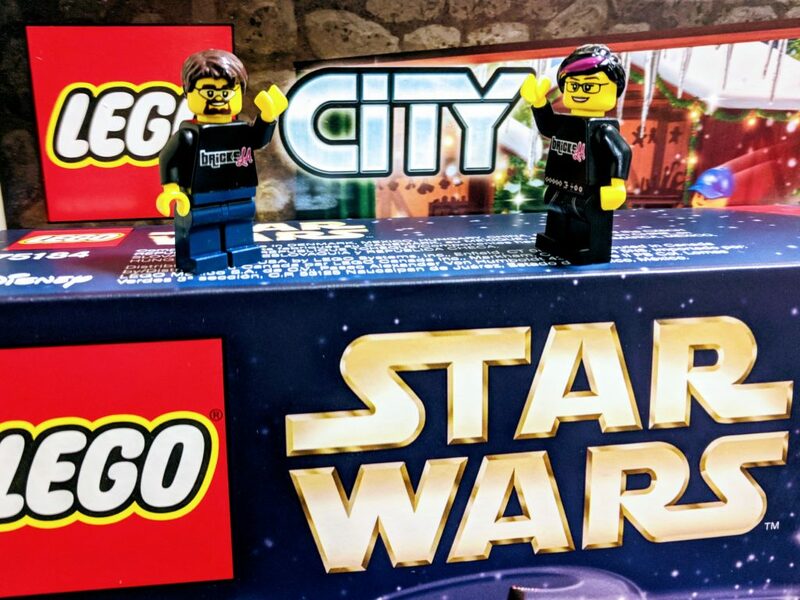 Join the mini Bricks LA team throughout the month of December as they open the LEGO 2017 City and Star Wars Advent calendars! Follow the holiday fun on Facebook, Twitter, and Instagram! Ayleen and John build the old LEGO Yellow Castle set 375 / 6075 from 1978! I recently had the pleasure of attending the LEGO House pre-opening in Billund and it was amazing! 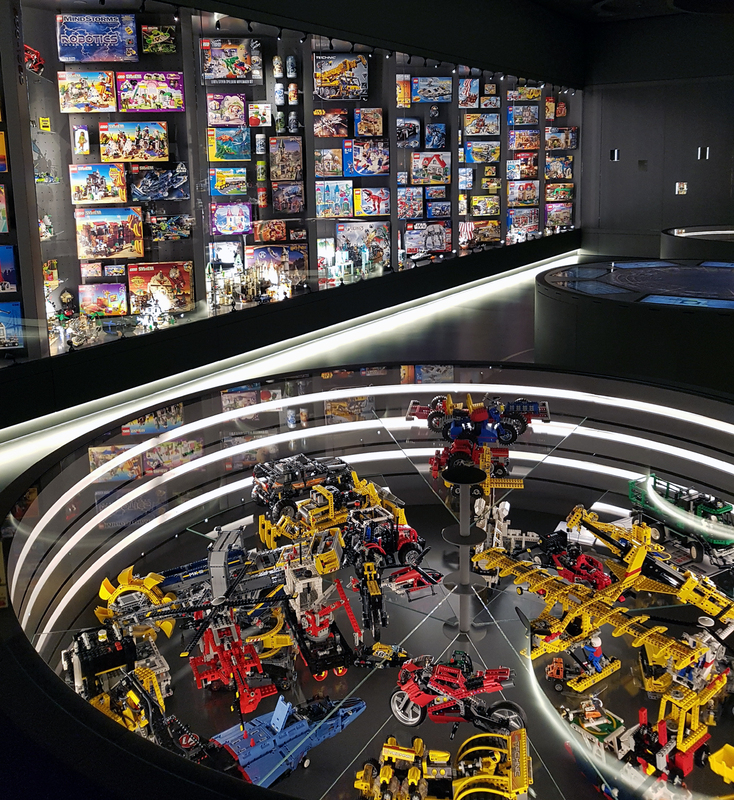 LEGO has put together a spectacular attraction that gets fans involved on every level. 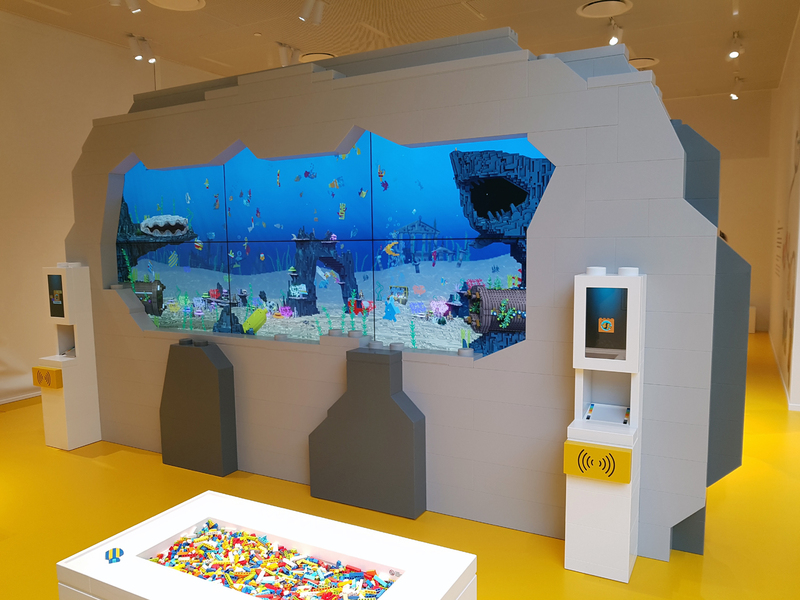 It is free to enter the ground floor (aka LEGO Square) where you will find the LEGO store, restaurants, the 50′ Tree of Creativity, and some models. You will need to buy a ticket (which you scan for a wristband) to explore the rest of the house. These RFID wristbands also access all the features of the house including games, interactive kiosks, picture spots, and even lockers. 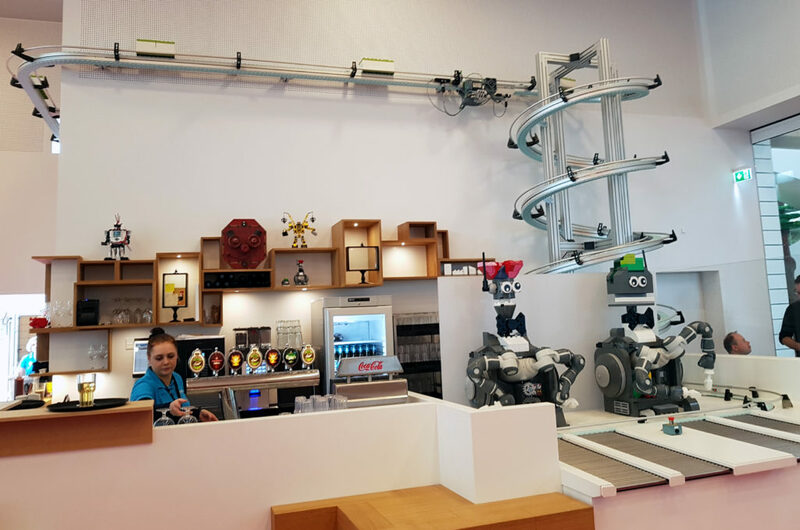 There are two restaurants at the LEGO House – Mini Chef and Le Gourmet – both of which are in the public area and do not require a ticket to access. 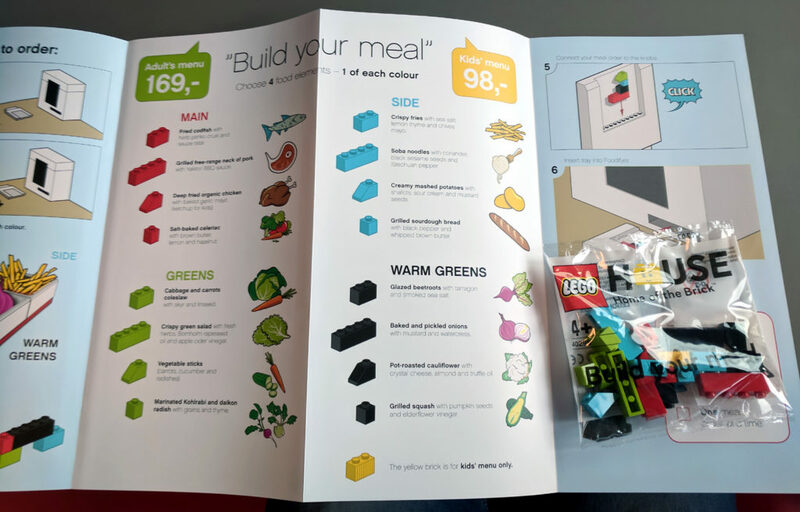 I ate at Mini Chef where the gimmick is you “build” your order out of bricks. Every table has a touch screen and each diner is provided with a menu and a small bag of parts (19 to be exact). Pick one item from each menu section – main, greens, side, warm greens – and assemble the four corresponding pieces from your bag. Then put your assembled bricks on a tray that slides underneath the touch screen ordering system to enter the order. When your tables food is ready, the screen tells you which color brick box to collect from the robot chefs. 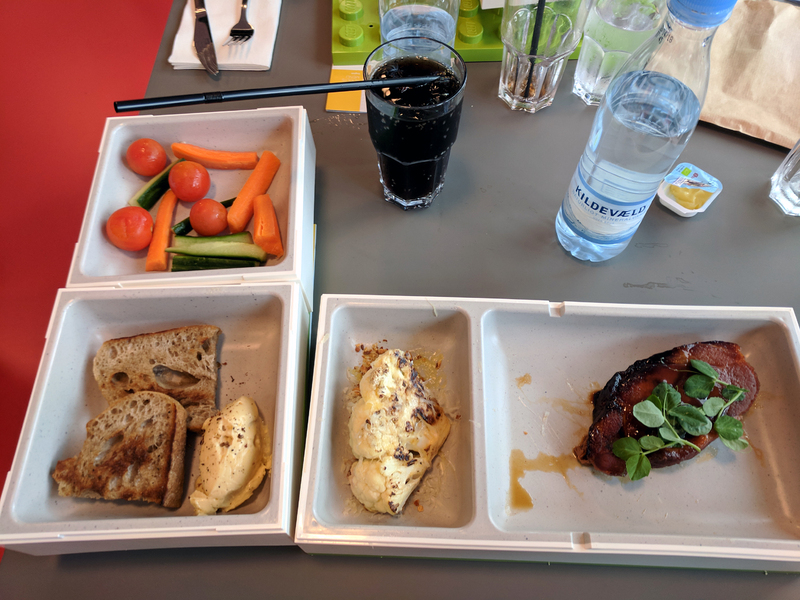 An adult meal was 169 DKK which is a little on the pricey side at about $27 USD. You are essentially paying a theme park style markup for the experience, so that is kind of to be expected. They will definitely have some issues to work out with people wanting to order two items from the same category and things like that, but overall, the system is pretty fun. Reviews on the quality of the food varied, but I really enjoyed my bbq pork! There is a large LEGO Store which is pretty much the same as most other LEGO brand retail stores. 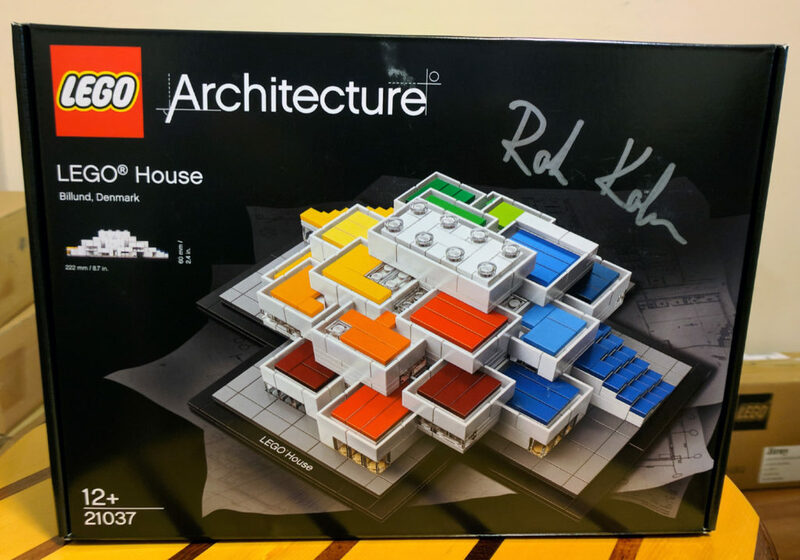 You can, however, buy the exclusive LEGO House set (21037) which is a colorful 774 piece addition to the LEGO Architecture line. The History Collection in the basement offers a look at how the company started as well as museum style galleries of old and modern sets. Every fan will find a few things to ooh and ah at in this collection! 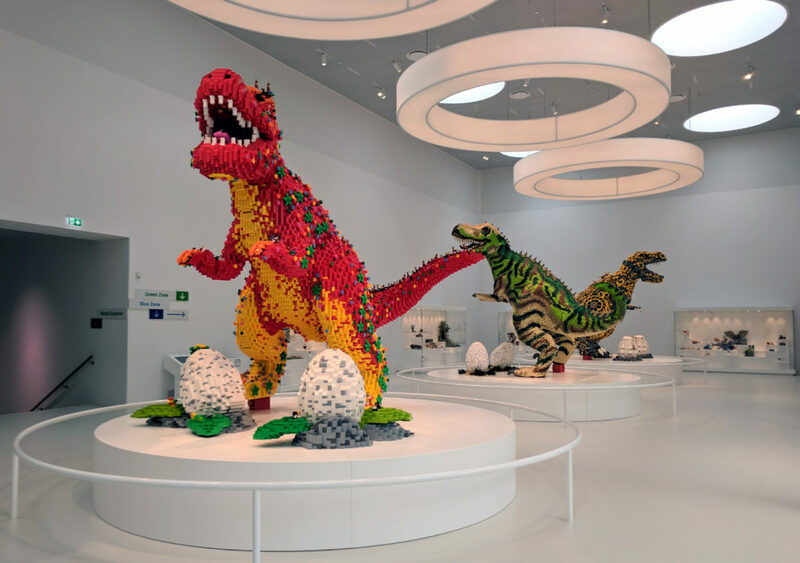 In the Masterpiece Gallery, guests are greeted by three giant LEGO dinosaurs surrounded by dozens of displays showcasing creations from builders around the world. The displays will be changed periodically so there will always be something new to see, although we do not yet know for sure how often they will change. There are four colored zones – red, green, blue, and yellow – each offering different types of interactive experiences. This includes free building areas, massive displays, and games! There were several really fun activities, but the one that stood out the most was Robo Lab. 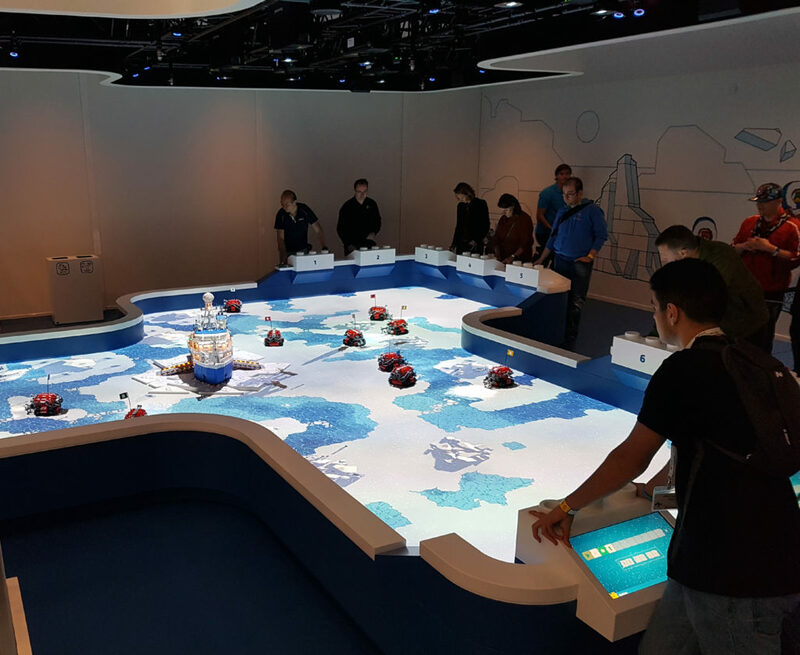 Each person took control of a robotic Arctic Explorer via touch screen and worked together on projected arctic terrain to rescue minifigures who in turn freed the mammoths trapped in ice. It was sort of like a video game mashed up with simple LEGO robotics. The thing I liked most was working together as a team and cheering each other on to free the minifigures! There are also several stations with screens throughout the house that can be accessed using your wristband. Some show you your location and others take a picture of you and/or any creation you build in that area. 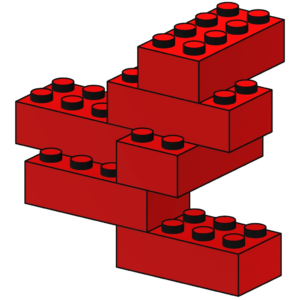 These can then be downloaded to your phone via the free LEGO House app. The pictures aren’t the best quality, but they make fun (and free!) keepsakes for the whole family. 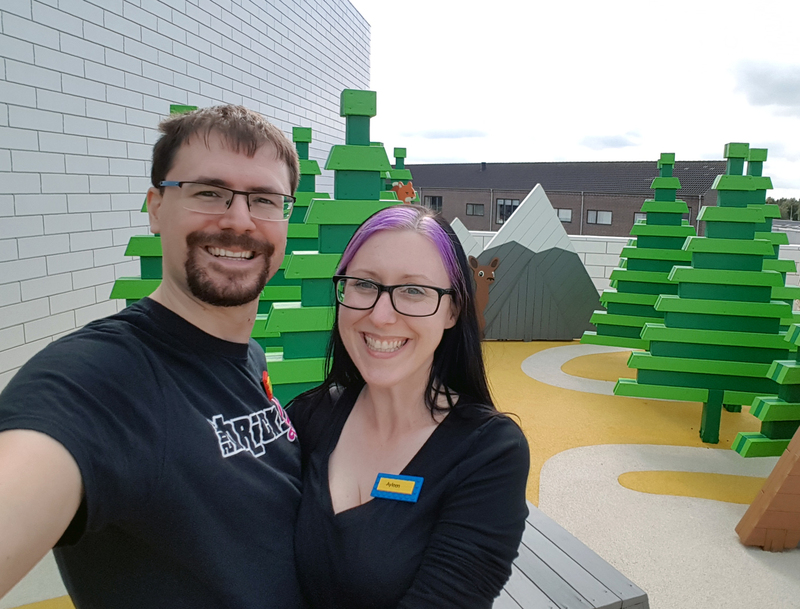 There are nine rooftop terraces throughout the LEGO House decorated in various fun themes. I only made it to a few of them because I was so busy exploring the rest of the house. The ones I saw were mainly for cute photo ops and getting a breath of fresh air. 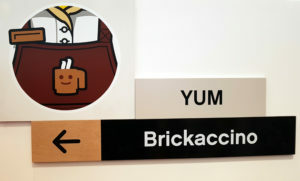 At the end of your visit, each guest is given a bag of six 2×4 red bricks and an accompanying card featuring one of the 915,103,765 unique combinations that the bricks can create. Your unique combination is also available along with your photos from the LEGO House in the app. It’s all tied to your fancy wristband. A ticket for the LEGO House is 199 DKK which is roughly $32 USD. I think the experience is totally worth it, especially when combined with a visit to Legoland Billund down the street. 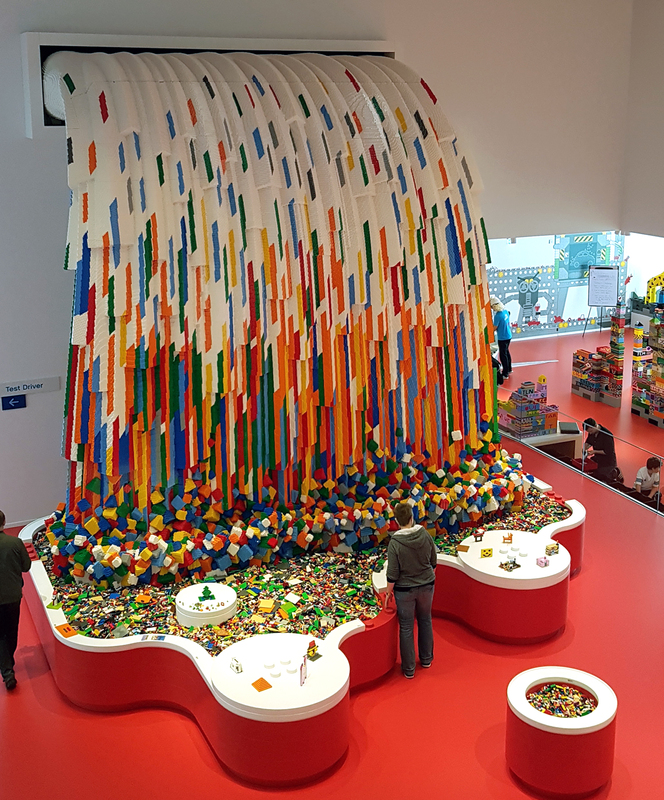 Fans of all ages will find a day full of games, building, and fun at the LEGO House. Ayleen Dority is a Los Angeles based event planner, toy collector, and traveler. Along with hosting/producing Toy Break, she coordinates the annual LEGO® fan event Bricks LA, and visits Disneyland often. You can find her on Twitter, Instagram, and PlayfulWorkshop.com. John and Ayleen race to build LEGO BrickHeadz Iron Man 41590 Building Kit and LEGO BrickHeadz Batgirl 41586 Building Kit ! 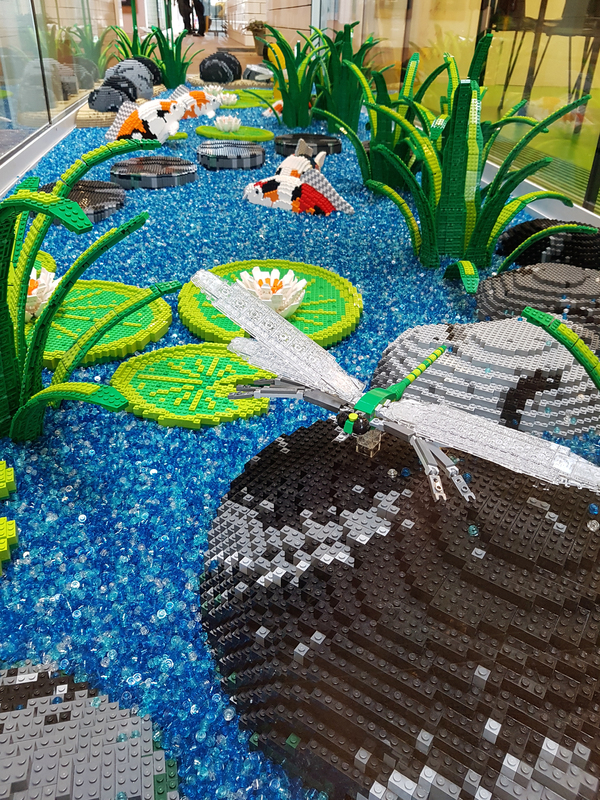 Ayleen catches up with Jeremy Williams and James Ritzman from the Bricks Cascade team to see what was new at the 2017 convention!